We just finished our last supper in orbit. We had a few fresh tomatoes that we brought up on the Soyuz and had been saving for a special occasion, along with some smoked fish and other usual space food. Jeff Williams, the flight engineer on my return flight, welcomed the Expedition 14 crew and wished them a successful expedition. Sting was playing in the background, singing “how fragile we are…” Then Misha told me he had a special surprise for me… He gave me his personal badge, the badge of Cosmonauts and his name tag plus the little Bear that was hanging inside our capsule during liftoff, called “Misha.” You probably saw it in the Liftoff video. He told me “Misha” is the zero G sensor for the trip. I keep going to different corners of the station and try to hold on tight, in my memory, to what I’m seeing and feeling. Several times I just let myself float freely and tumble around like a feather caught in a breeze to see where I would end up. I tried to focus on the positives… Tomorrow I will see my Husband after a long time… I miss him so much. It has been a hard six months for both of us… He is my soul mate. We had been inseparable up until this trip… He has been trying to be the strong tough guy who is the anchor of my life… but I know inside he has been burning up. He will have the first sigh of relief when he hears that they have pulled us out of the capsule. I was also just talking to my sister and I could hear in her voice how anxious she was and how scared she was of losing me… I promised her that I will be fine and will be with her in a few days… I could tell she was crying but trying hard not to let it show in her voice. My trip is coming to an end but my dreams have just started. You tell me in your messages that I have inspired you… Well I have to admit you all have inspired me right back… Every time I feel like I’m drowning in the sadness of my departure from the space station, I try to reach for one of your messages and pull myself out and look forward to what we can all do together. My destination tomorrow will be Earth… But the Earth is not the same Earth that I left. It is a little bit better now because there is more love in it. I can see it from your written words that are sent to me in the emails… I only hope that I can help grow this wave of positive energy that we have started and to make sure it touches more and more people. What a great “orbital” blog. How are you?I hope that you and your firends in ISS have a good time(I’m sure that you have a great time)and healthy journy.I continue your journy to the space from lunch in baiknor until now on TV and in your blog. I’m shocked and excited when I reading your blog and I tear and pray for you and your firends.I see you in the sky four nights and again exciting and pray for you I woke up about 4 a.m and look at the sky with sleepy eyes.I belive that you could change my life with this action and I decided to work hard and become better and better,if you read this command please remmebermy name and after that you will hear more a bout me.please write more a bout God,spave,peace and love. omid varam safare khubi ro poshte sar gozashte bashid.in ro bedunid ke ma hame montazere residane shoma be zamin hastim.ma baraye shoma doaa mikonim ke be salamati be zamin bargardid.in tanha karie ke mitunim baratun anjam bedim. be omid movaffaghiate hame iraniha dar hame jaie donya dar hame arse haie elm va ma’refat. be dunid ke man hamishe be yade shoma hastam va az shoma olgu migiram,chon shoma budid ke negahe man be zendegi ro avaz kardid. Please scatter the positive enery you are brimming with we all need it, I know how stupid it feels when you look at from above earth it looks all calm and serene, and the reason to fight with someone pales..War is looks foolish and futile.. I hope we all can understand that..Hope you keep posting even after you reach Mother Earth.. Wish you a safe journey! I want to thank you from the bottom of my heart for sharing your space experience with us. I was watching your video where you were talking to Hamid and tears started running down my face because I saw how energized you were when he told you the age ranges of people commenting on your blog. It seems like having peace on this earth would be so simple if we could just, for a moment, float outside ourselves as you have done and see ourselves in a new perspective. Imagine if the leaders of the world could do this, then they’d realize that the most important thing in life is celebrating our differences and being the best of friends because of it! Channelling positive thoughts to you, Jeff, and Pasha, for a safe journey home to earth and your families! happy landing . I enjoyed reading your blog.it was a different experience even to read about space. Safe trip Anousheh. I was sure thatit will be hard for you when it comes to say goodbye to the station, and you gonna miss all those beautiful moments. We are all with your on your journey back to Earth, so don’t feel that you are alone in your capsule. It’s amazing to see such emotion, passion and determination. Your experience is a joy for all of us who work, study, invest and pursue our dreams. Thank you for letting us “go with you” through your blog. I could say that reading your blogs I could almost smell the “space”. Have a wonderful touch down, get ready fast because we all want to see the next steps of the Space Ambassador! My biggest dream since childhood has been SPACE, i loved space and anything related to it. but after 17 years i had to study for “conquer(konkoor)” exam to enter university in Iran, i had started to believe that lots of thing are impossible until 3 weeks ago that i saw you on TV and read the news about you. you have woken something in me, a really big thing, you have inspired me so hard that i thank you with all my existence, now i believe in lots of new things and i owe you for that, now i have DESTINATIONS !, i’m an ECE(electrical & computer engineering) student in tehran university. my field at this time is Software Engineering but i will choose the one that perfectly suits my dreams. i know that powerful programmers are welcomed in space. i wish you to be successful in your goals and making your dreams come true, i wish you not only a safe return to earth but a safe and healthy life for you and your family. i wish you to be happy in any moment of your life. god be with you. good luck. WOW!! Ive been following your blog, and I must say, its been quite an inspiration. I learned a thing or two everytime i read it. Its a pity i wont have anything to look forward to reading anymore. Today, i learnt 2 things: that there are infinite possibilities in life, and that a simple smile can move a mountain. Safe landing back on Earth. Safe trip back home Anousheh. hello ms. ansari, its really wonderful reading your last blog entry from space.for a while i felt like u in orbit also.wishing for a safe retun………tc. Anousheh, Misha and Mike, and the rest of the crew coming back to earth, When you are coming back to us, if in case you feel even samll fear inside, just think that hundreds of thousands of eyes are wtaching you, and the same number of hearts are beating for you evrey single second of your landing process. With all these love coming up to you, you are protected, and nothing can harm you. Thank you for your writings. Specially your experiences in life and up there. You already changed this world with your good thought and every person who followed your journey can carry it forward. This new movement can be extended to the whole world. Please continue writing. If you write a book I will be the first person who buy it. You fuel this movement. I hope to see you and Hamid one day. Have a good landing. Holidays are always to short and the more fantastic they are, the shorter they seem. Hope you have a safe landing back on Earth. wishing you all much more success, good health, joy and laughter. Thank you so much for sharing your experiences. I have followed space flight for many years, but I cannot think of anyone who has does so much to bring us all along on the journey. I worked on the design of the space station, but only your recent flight has made that seem worthwhile. Thank you for raising our hopes and reinvigorating our dreams. Your sponsorship of the X-prize opened a path toward many people visiting space someday. And your eloquent description of your own experience is showing the world the value of this orbital perspective. Thanks for carrying us along and lifting our spirits to the stars. We wish you a safe flight and landing. What a nice and sensetive sentences. Thank you for everything that you gave us. Thank you for your support of Blue Earth, Space Industry and your kind sense. I realy thought a lot from you. I hope you have soft landing, Long life and Positive energy as you have today,for ever. I am going to reach my dreams,I believe I can,because you did it as well. Keep smiling! Your trip may be coming to an end but your adventure is just beginning. You have a great support group in which your family and friends are watching you and supporting you every step of the way. You stated that you “usually have a destination and let the voice inside” guide you. Always remember that it is not the destination but how you get there and most importantly…what you do when you come back to Terra Firma. God Speed you home Anousheh and I look forward to seeing you in Las Cruses ! Thank you for being an inspiration not just for the young, but for all of us – dreams do come true! You have opened the possibilities for every one of us to visit the next frontier. Dont be sad about leaving space – you will surely be back during your lifetime. Just saw the video of Branson’s new spaceship – it almost here! Your words are truly inspiring, your life has incrible possibilities, and you are a true hero amongst men. Keep your possitive outlook on life, you will accomplish your dreams & have anything you desire. Thank you for sharing your thoughts, feelings, desires, downs, and hope with humanity. You have reborn my thinking and dreaming. As many have said before me, your descriptions of your experiences made me feel that I was also experiencing my dream of traveling in space. Your personal portrayal of what it’s really like to be in space; the “regular” aspects (if one could call them that) of what goes on – traveling to the ISS, hygeine, weightlessness, even motion sickness etc. – is, I believe, what the world has been waiting for in its desire to learn more about space travel. Hopefully, more space-related companies, including NASA, will take this stance and find more people who can communicate such as you have to bring their messages to the public, which would undoubtably increase interest and support for future space programs, both private and governmental. I say this hoping it will happen not just for positive progress in the industry itself, but also that I, being neither an aero-astro engineer nor millionaire with money to invest, might also be able to work one day soon with some pioneering space company to help it achieve its goals. Look forward to hearing more about everything once you’ve settled back in to life down here. tears are still running down my face. Thank you so much for your words. You deeply moved my heart. I am so happy that you expressed the pure wish for peace on earth. You spoke what so many people hope with all their heart. There is nothing to add. Thank you so much! You are great. Get home safely. PS: all thank you for all your descriptions of your experiences up there. It felt like beeing there with you. Thank you so much for sharing this with all of us. I’m glad that you are going home. Welcome back! I am praying for your safe return to Earth. God Bless. Hi Anousheh, You really have been an inspiration to so many! We can see it in the way that you INTERACT with the ISS crews, so unlike previous private space explorers. I’ve been so anxious at the slow pace of space exploration since my childhood at the height of the space-age. I’ve followed the X-prize challenge and Burt Rutan, et al. Possibly because you seem so accessible and like we earthbound dreamers, your trip and experiences have special meaning. Between you and confluence of private space ventures my optimism that space travel may one day become commonplace is renewed at a level I’ve not felt since that childhood. You make it all real. We now pray for your safe return to Earth and family. It’s 3rd time that I read your words and cry …..
the first time was on countdown , second when u gazing at universe …. you were in my mind every moment , at university , in my studying time , …, and when I was sleeping at nights , I had your voice in my mind , not your voice in TV … your voice from your writings ..
surely, god respect those paople who risk for reaching to their major wishes. you are one of them! all of iranians respect you as a great woman.we are waiting to see you home. have a safe landing. We could feel your mixed emotions all the way down here, and we share them with you. 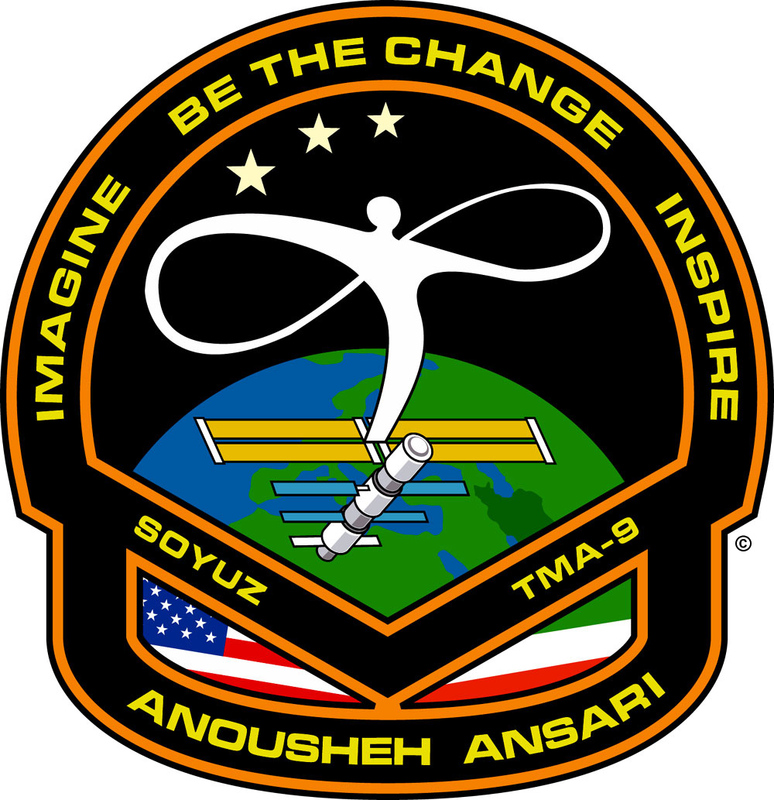 I will always think of the ISS as ‘Anousheh’s House’, and will always remember how you invited us all over to stay awhile. Since you picked up the bill for our little trip, I think it’s only fair that I treat you with same love and respect. If you’re ever passing through North Florida you have a standing invitation to bring your family to my house and enjoy a lunch or dinner(or both) with my family. We’ll even hang a sleeping bag from the ceiling in our spare bedroom if you want to stay awhile. Thank you for everything. Please find a way to stay in touch. You’ve become a sister for many of us, it would be nice to hear from you by blog or e-mail, or your website. I’d just like to know how you and your family are doing, how’s the new company doing, and if you have any big plans in the future that we could help you out with. Just a note every once in a while so we know your OK. But now Cosmonaut Ansari it’s time for you to come home. Your husband, family, and planet need you. We’ll all be in the fireball with you, and cushion your landing the best we can. You are a brave person, a beautiful woman, and someone we will always be proud of. Dear Anousheh, the Little Princess and the Stars- Beautiful ! Destination. Enjoy,enjoy -and Happy Landing to you All ! I can’t explain how much I enjoy reading your marvelous blog. Just like a curious kid discovering the world around, you shared these virgin experiences with us, with the same cheerful tone. I’ve read your sentences about being a model for Iranian women and making your dream come true. Believe me it broke me into tears; as I’m leaving Iran in 3 months. I love you, and am very proud to be an Iranian girl. I discovered your blog last night and reading it gave me such goosebumps! I felt as if I was right there beside you, experiencing the same things in my minds eye. I was tearing up with you reading your last entry. Thank you so much for sharing your stories and your thoughts. Have a safe journey home. all of us to space thank you . Dear Anousheh, Normally I believe that there is no collective proud and everybody deserves self-respect and proud because of her / his achievements and not because of belonging to a specific group, a family or race, religion etc. But in your case I am really feel being proud of you not only because we were both born in the same country. I am specially proud of reading there is someone out there sharing the same utopia and dreams to make our world a better place to live in. The main difference is that you are accomplishing a great contribution to make these dreams happen. Thank you and safe journey back to mould. Welcome back Anousheh! I am sure it won’t be long until you are back in space in one way or another. Thank you so much for your experiences. It is very special to read your blog. I am looking forward to your next activities – let us know how we can help! There is an alchemy in the smile exactly as you have explained. Have a safe trip back home. Now you’ve got me feeling as sad as you about your leaving space. I have no doubt you will find your way back “to the black” ( space as they call it in “Firefly”) sooner than later. I can’t imagine we could ever find a way to restrain you now ;-). Think of it as being on shore leave after a long interstellar flight. Just a few things to remember while on shore leave: (1) you can’t float from place to place. It is in bad taste to do so. You must walk, and (2) Playing with your food is frowned upon :-). Otherwise enjoy your stay with us. Hope you will continue to write your blog. I’m sure there are still lots of questions people would like to ask you. be zamin be salamat bargardid. khosh haalam ke in vaghaaye baaes aashna eiyeh maa shod. Ma 3 khaher be shoma kheili eftekhar mikonim,zende bashi! You are truly an inspiration! May all your positive energy help making this chaotic world a better place. Have a safe return to Earth. Perhaps you made more for the spaceflight than NASA could ever expect from any well thought PR campaign. And it didn’t cost NASA a cent. That because you really are an hero. We all love you now and hope more to folow your steps. Thise couldn’t be achieved with any planned PR campaign. thank you for all your imagination and inspiration you gave to us, you realy made us changing. I can only answer for myself, thinking about my last several days: YES YES YES, you did !!! This morning when I went to work, I heard “Imagine” from John Lennon and I was thinking about you up in space..
Have a safe return and hope to see you soon back on earth with your beloved family. This whole experience has been so amazing; so inspiring. If NASA doesn’t utilize Ms. Ansari in some way to support the space program, they’re really missing an opportunity. Thank you, Anousheh; best wishes for safety to you and all those with you. Many, including me, are waiting and praying for your safe return, and I congratualte you for having such a great husband and I also Mr. Ansari for having such an strong wife, and I wish you both a great and successfull life together. Many thanks for taking me with you in that fantastic journey to ISS. I read your blog with my children and hope that they too one day be able to go where “No woman space tourist has gone before”. I wish you and your friends a safe trip back home. i like to have the videos of your moments . I hope this is not the last I can write to you…It’s been a great and wonderful ride, hanging on each word of your wonderful stories. I really feel blessed that I have been able, in a small way, share your incredible adventure. I don’t understand all the hatred and anger some of us hold… The evil is all around us, we can only battle it with our faith and love which is what you are helping to spread. I can’t thank you enough for being a part of my life and helping all your bloggers to see the kind heart wonderful you have. God bless you with your continued journey through life and thank you for being a part of mine. It is such a secret place the land of tears. Anoushe khanoom bekhoda ashke hameye maro dar avordi ba neveshtanet. bargasht kheyli sakhte midoonim,vali doa mikonim ke roozi beshe ke dar hamejaye in koreye khaki aramesh va peace bashe, we all hope so bekhoda. baraye bargashted doa mikonim ke sahih va salem ke midoonim hamintoram hast beresi be khaneye avaliyeye khodet. man Iran nistam vali azat khahesh mikonam Iran ham beri hatman.az shoma Khanome Irani. I’ve been reading your blog with a smile and a tear on my face. Thanks for this fantastic trip with you up to the skys. Although I think, I will never afford this trip for myself, with this blog you gave me and many others the possibility to join your journey. While I was reading your last entry I heard the song “Down There” by Fury In The Slaugterhouse and tears shed down my eyes ’cause the song fits perfectly to your thoughts. I don’t know if you know this band ’cause it’s a German band and not that popular in the world. But try to get this song and I’m sure it will remind you of your journey everytime you her it. Thanks a lot and have a safe trip home. Dear Anousheh, Thanks for making this world a better place to live. You have inspired us so much by your journey to ISS. However, you belong to earth. I hope you spend most of your time trying to bring us all closer together. I loved your jacket with US and Iran’s flag. We are very proud of you. Your journey and words have touched me. I wish you a safe return. I live in Holland,but i wont go to sleep before i`m sure that you have landed safe ans SALEM and TAN DOROST.I will watch you on Nasa tv of cource.Have a save and easy landing! be sabraneh montazer bazgasht shoma, be salamt hasteem. “Look again at that dot. That’s here. That’s home. That’s us. On it everyone you love, everyone you know, everyone you ever heard of, every human being who ever was, lived out their lives. The aggregate of our joy and suffering, thousands of confident religions, ideologies, and economic doctrines, every hunter and forager, every hero and coward, every creator and destroyer of civilization, every king and peasant, every young couple in love, every mother and father, hopeful child, inventor and explorer, every teacher of morals, every corrupt politician, every “superstar,” every “supreme leader,” every saint and sinner in the history of our species lived there — on a mote of dust suspended in a sunbeam. It certainly puts the whole of our existance in the cosmos into perspective. Thought provoking and very powerful words. I hope that your words can continue to move and inspire more and more people in the same way. Then one day soon our civilsation will become more tolerant and respectful to all and live in peace and harmony with each other. We need to take more care of this gossamer thin bubble, this Pale Blue Dot, we call home. Thanks, have a safe landing with Pavel and Jeff and keep smiling :). Just so you know, I’m crossing my fingers and toes for you from Hungary to land safe and sound!!! I’ll try to catch the landing on NASA TV but I have no idea when it is in Central European time… Anyways, I loooved every entry in your blog, I haven’t been much of a space fan but ever since I read your adventures I am one… you have such a unique writing style… and of course an ever more unique situation to write about:) I’m sure the ISS looks wonderful and I would love to ‘watch the world go by’ your way one day… if only we could skip the liftoff part… but then again, I’m sure it was all worth it. I hope you’ll continue to stay in touch with space and keep on writing this amazing blog. Hope to catch your next blog entry from space pretty soon!!! Please forgive my informality. But your blogs have created an endearment that makes me feel as though I’ve known you all my life. Perhaps its the fact that we both shared the same yearning to fly in space. Your words from space have touched my spirit in ways that I did not think possible. Thank you so much for sharing this experience with so many people who feel as you do. Rest assured that many people will not go to sleep tonight until we know that you have returned to the warm embrace that we call home. Have a continued safe journey. I can’t thank you enough for your comments from space, it’s been so cool to read your thoughts on space travel. The velcro story really made me laugh, several times. As I write you are now in TMA-8 getting ready to depart Station. Have a safe trip downhill. I like many others around the world will be watching tonight. May the spirits protect you and your crew mates on your trip home. I know you are probably on your way back into Earth @ this time, but I just wanted to say my thoughts and prayers are with you & I wish you a safe return! Thanks for the blog, smooth descent for Soyuz, and godspede to all hurled through this miraculous cosmos! Thank you Anousheh for everything, for showing us the way to the sky, sharing your experiance with us and doing an extraordinary work. I pray you a safe landing. Thankyou Anousheh Ansari, for your courage, especally the courage to speak of the human heart. May you be interminably contagious! with no curfew nor bounds. with any joy it found. it journeyed to to breed. came smiles to visit me. Following the recent weeks ISS activities and to be more specific your trip, to me is like a beautiful ray of light in the absolute darkness surrounding our native country’s name and my fellow Iranians all around the world these days. You are truly showing a completely different picture of an Iranian today. You make me proud when I read you were wearing shoulder patches with the U.S. flag and a flag with Iranian colors at a recent appearance because “both countries had something to do with the person I am today…” and “I feel very close to the Iranian people and the culture of the country.” And also watching your recent video in that jumpsuit with Iranian and American flags playing with the apple. Incredible! I just finished reading your last post from space. All entries on your space blog were just a-m-a-z-i-n-g! You are a wonderful writer. I simply can’t find words to describe my admiration. A down-to-earth, humble human being. You really deserved it. No doubt about it. You must be on the way back to earth at this moment. Have a safe trip back home Cosmonaut Anousheh. Mrs. Anousheh Ansari– I know you have heard it before, but you are really an inspiration!!! I am a teenager who hopes to follow in your footsteps and someday go to space too. It was very interesting to read what you said, and I am looking forward to the day when there can be space tourism for everybody!! Hi Sarah! No doubt you will be one of the many who follow in Anousheh’s footsteps — a very special one! Thank you so much for sharing your experiences. What a wonderful way to learn about space travel. I have always dreamed of going into space, and now I have experienced it vicariously through you. You should become an Ambassador; you have such a good heart, a desire for peace, and are very well spoken. Have a safe trip home. We are awake and pray for your safe and good landing. Wellcome home, dear Anousheh, you and the crew! Have a safe touchdown, you show it is possible to do great things and I hope lots more people can follow in your footsteps!! thank you so much for your wonderful blog. I discovered it only a few days ago and sent the link to all my friends in the hope your words would inspire them also. Thank you for reminding us of the beauty of the world and how precious it is. Thank you for being a living example that we can all follow and achieve our dreams no matter what they are or who we are. I hope you continue to be the alarm clock inside us all now that you are safely back on earth. I wish you an amazing space-filled future. I really enjoyed reading your blog and I hope that you will be able to preserve inside of you the peaceful feelings that you felt in space now that you are back to earth and will have to deal with its realities and daily problems. I am sitting here at the office testing software for a large corporation. While the test processes are running I’ve been reading your last entry from orbit. And, for no good reason that I can explain I am in tears. Its like sadness filled with joy. I was born in 1957 at the dawn of the space age and have always felt a special connection with everything to do with humanities first steps away from our home planet. I envy you immensely. I always wanted to go into space this lifetime. However, now I no longer feel the burning need to go. That others are going and that my children or their children will one day do it seems enough. But it tears me apart that whilst you were in orbit that 300,000 children died of preventable causes and that most of my fellow humans don’t seem to care. I see signs of hope that more people are starting to become aware that there are many, many issues / problems /opportunities that need to be resolved / fixed / pursued. I don’t know what ‘Life / God / The Absolute’ has planned but I feel that it is important for each of us to do what we can to make our world a better place. I’ve heard it said that nothing worthwhile ever happened without a small group of dedicated people having a dream and then making it happen. I believe that most of the people on this planet do want to do the right thing but can’t because they have no power. It is the old saying that if you can divide you can rule. We, the people have been divided. I think that we urgently need to reclaim our collective right to decide what is really in our best interests. To do this we need the means to collaboratively make effective decisions from a local to global scale and to be able to contribute resources, and control those resources in real time, as we see fit, to make ours decisions a reality. I tried to get this ball rolling here in Australia. The plan was to take one issue out to my fellow Australian and use it as the ‘pilot’ to develop a collaborative network that would utilise ‘economies of scale’. The issue I chose was a better version of our national anthem (see http://www.anthem.net.au). It has been a spectacular failure. Almost nobody is interested. Although I have got a beautiful recording of it that inspires me almost every time I hear it. Great didgeridoo. You can download an mp3 of it from http://anthem.net.au/downloads/AustraliaErin20041026.mp3. I haven’t given up hope on the project but having 4 children, 3 of them under five, means I don’t have much time to work on taking this dream out to others. I still believe in the vision of real democracy. And, that in spite of ourselves we will eventually reach a time where what is in the real best interests of the entire world will win. For me that day can’t come too soon. For many it will come too late. For those yet to come I hope that it happens sooner rather than later. Hello, Anousheh. I have followed your trip, and have enjoyed your descriptive and moving writing. What a wonderful world into which we have been born. Thank you for your vivid reports and your passionate accounts. Welcome Home! I understand you have now landed safely. The Story opf You and the floating apple will live for ever! . . .
although i read your blog just a day before your return to earth, let me congratulate you on your unique and brave endeavour.your informal and endearing manner of documentation of your journey is very beautiful. and i pray that you have many many more such journeys ahead. I am sitting here in Amman, Jordan writing this after reading your blog and watching on CNN the touchdown of the capsule. I am so amazed at what an incredible experience you have had!!!!!! I am really happy and excited with the thought that inshaAllah you will be such an inspiration to so many young women to study science and inshaAllah to follow in your footsteps. MashaAllah you are a very good writer and you have brought to all of us such a wonderful experience and knowledge thru reading your blog. Alhamdulilah you have arrived safely back to earth. Thank you for sharing your wonderful experience with us all. Anousheh, this post made me cry. You are blessed, but that blessing has clearly flowed to others, too. I wish I could thank you in person, touch the woman with the little girl inside, who caught hold of the shooting star and held on… held on… flew up and away into the stars. More importantly, I wish my daughters, especially my little astronaut-in-waiting, could meet you and, perhaps, see her own future in your eyes. She was 6 months old when she looked up at the moon and said “home”. Reading about your childhood dreams of flight is like re-connecting with the little girl sleeping in my bedroom right now. I thought of you tonight, even as I was working, wishing I could see for myself. Never mind, some day perhaps I will watch my own daughter’s flight out, and her re-entry. Thank you, again, an infinity of thanks. May the shining lamp within your heart illuminate the world, and make you a brilliant star. P.S. I almost forgot! I blogged about you, I couldn’t hold on to it all for myself anymore! Not tha tmy blog is all that popular or anything, but my family reads it. Princess of the Stars. Be guided, inspired, happy and proud!! You have done a lot to promote global and personal awareness. Thank you so much for sharing your experiences. Your spirtual journey has inspired many of us. Wonderful to feel space through your intimate words. I’ve for years sailed traditional sailing craft as vikingships and polynesean double canoe as our forefathers did (no gps) – so the stars have been important to me as a means of wayfinding. But you have added a dimension to this experience by bringing them a bit closer to me in a spiritual sense. I wish you a safe return to this lovecraving planet – and all the best for you, the crew, and your family! I simply salute u!Thanks for inspiring millions like me!May ALLAH bless u! Anousheh, I have followed you blog for the last week or so and it is truely amazing to read your words. You have managed to turn your experience into something everyone can enjoy and I echo your sentiments about the world and the state it is in. One day the human race will get it right – it feels as if we have only just started. I hope that when your fantastic trip is over I’m still able to catch up with what your doing everynow and then! And I hope that future space trippers follow in your footsteps of bringing their experiences to the world. As you have probably heard a million times, you are an inspiration and I will sorely miss your words. Tu nous montres que c’est possible ! When Im reading others’ comments I see that you really made some changes is many minds in the world .Now, there are many hearts beating in the same way and you are the leader …yeah ,Im agreed with your cousin “…it must be a princess ” but not a little one … because you have a very big spirit 🙂 you know , we had a trip with you too … in our mind …in our world … in space …and in your mind with your emotional descriptions and you was the reason! Thanks again for your inspiration and the great feeling and sight you created for all of us .Hope you receive to Earth healthy and wish you the best days and nights in the future with more success. This must have been the best trip and experience in your whole life, maybe in all of our lives. Thanks a lot for the great writing. To be honest I am totally jealous of what you were able to do. My friends and I were talking about your trip while we had a beer a couple of days ago and we realized how much we want to do the same like you did. And we admire your courage. At the moment I am writing this you already returned back to earth and I heard it on the radio that everything went fine. Thanks again for sharing your moments with all of us. I’ve read your blog since you were in space and now that you finished your writing I have bad feeling.during this 10 days you gave me good feeling about life and i want to thank you for this good feeling.I hope to see you in iran. but besides I wish a day with piece,relife & real freedom for all humans in whole the world specialy women! your memories from the space really affected me.and hitted me to wake up.all these days I eas thinking about you how free you are over there as if you are in heaven and it seems as if a person in heaven is talking to me.I haven`t heard such a tone in my life.It shouldn`t be an earthy person.Thank you anoush for coming and tapping to my hearth.I am all in tears as I am writing.be sure that you are always in my mind and for the rest whole life you in me is trying to wake me and tell good advice to me somthing like good ego.This is my real emothion and I hope you read it.But may not have time to read all of it. First of all I just want to tell you how proud and amazed we all are of your extraordinary achievements. My family and I are so incredibly happy for you that you have actually attained a dream you’ve been following for so long, and no one deserves it more than you do. I know you’ve heard this many times, but you truly have shown the entire world that dreams can come true and that the impossible is possible. I’ve been reading all of your blogs and watched you launch and your amazing experiences have brought tears to my eyes. My mom and I have discussed many times how much we’ve enjoyed reading about your experiences and how emotional it has made us to be able to share your experience by reading the brilliant details you’ve shared with the world. Beeta, Tara, and I get so excited when we talk about your blog and how much fun it is for us to be able to envision the experiences you have described. We’re all so happy that you had such a positive and safe journey and are anxiously awaiting your return home. Thank you so much for sharing this journey with the world. Have a safe trip home! I haven’t been following your journey as closely as I would like. Just a blog entry or comment every now and then. What I do want to say is…Thank You. Having had the same dream to go to space since a child (and will get there…one day), I am so glad to see early explorers like you not only take up the challenge, but to actually fully execute on it. Ironically, the $20m you invested to make something happen for you, has been completely reinvested through your experiences into something greater than all of us. Congratulations. You have given an extremely generous gift to all of us. The greatest gift anyone is capable of ever giving. You have given us hope. I’m writing with teary eyes and pounding heart. You have been a blessing to so very many and a true inspiration and comfort in your writings. If the world could live as you (and I) wish it to. Maybe you have started a fire. I do hope and pray. I’m scheduled to do a tandem jump tomorrow, and I’m anticipating the excitement and exhileration you have experienced and expressed. You know, my dad used to tell me :” compare to what I achieved , you have to go to space” and I would always laugh at him because I never believed in what he said. I mean I never thought it would be possible. Today you lived the impossible, how great is that ? Well I just mentioned this to put a smile on your gorgeous face 😉 You know going to space might have been your dream , but now coming back you are the “dream” itself. Your name will not only be in books, but also in our minds and hearts forever. I can feel how hard it might be to leave, but remember while you taste something, you can’t easily let go, so from your writing I am sure this is just the beginning for you.Did I mention how beautiful you write. It seems that you have so many gifts”آنچه خوبان همه دارندتو یکجا داری “ Just to let you know, earth can’t afford loosing you, so we need you to come back. We need to see more of .Please share more of your unforgettable moments with us.Welcome home dearest one!! With teary eyes and pounding heart I’m writing to express thanx for the blessing of you and your writings and expressions of exhileration and excitement and deep feelings and meanings. If the world could live with wonderment and longing for goodness in self and each other and work toward that. Perhaps you’ve started a fire. I will try following you as an inspiration. Tomorrow I will tandem jump from 15,000 feet and am anticipating the amazingness of it associate with you on the way down. it’s always hard to say goodbye. Every ending means also a new start. When I was in school I thought this would be the best time, after joining the university I have to say this would be actual the best time. So don’t mind. It will always get better, it’s just you who have to decide what will be next. I wanna thank you for your sponsorship of the X-prize. This will someday give everyone the chance to see the wonderfull things you saw. And hey, maybe you where the one who made it possible that someone could invent the warp drive? who knows. You know my dad used to tell me :” compare to what I achieved , you have to go to space” and I would always laugh at him because I never believed in what he said. I mean I never thought it would be possible. Today you lived the impossible, how great is that ? Well I just mentioned this to put a smile on your gorgeous face 😉 You know going to space might have been your dream , but now coming back you are the “dream” itself. Your name will not only be in history books, but also in our minds and hearts forever. I can feel how hard it might be to leave, but remember while you taste something, you can’t easily let go, so from your writing I am sure this is just the beginning for you.Did I mentioned how beautiful you write. It seems that you have so many gifts”آنچه خوبان همه دارندتو یکجا داری “ Just to let you know, earth can’t afford loosing you, so we need you to come back. Welcome home !! Thank you very much for sharing every minute of your trip with us down here. You know something, beside all other wonderful abilities you are also a great writer. Each time I read your messages I exactly have the same feeling as you have had when writing the letter, even with the same tears. I’m sure that you have made a great positive change in the beliefs of many people and I hope to be able to do my part in this great mission that you have started. I wish the bests for you and all Iranians all around the world and hope to be able to see the world as beautiful as you do. Welcome to the earth. The earth is also fantastic some times more than the space because of human. As an Iranian girl, I’m proud of you. Every day I read all of your massage from space and all of them were COOL. When you wrote about the smell of the space, I felt it. I felt all of your feeling, whatever you wrote. Iran’s national TV spoke about you, not too much but it was good. My grand mother was worry about you and pray for your health and happiness. Most people in the world heard your voice when you reach to ISS. You said thank you all. I never forget your voice. I’m happy that I was alive during this period; saw you in the space and saw when you came back to the earth safe and happy. And also became your friend. Thank you so much Anousheh, for sharing your experience with us in a way that no one else has ever before. I truly enjoyed reading your blog entries and hope to one day meet you in person. By the way, your last blog entry in space nearly made me cry! :p Thanks again for sharing your experience with the world. Welcome back to Earth!! What a dream. It is my dream too. I can’t go (yet), but we were all able to be there through your beautiful writings. Thank you for making us part of this adventure! I come from a space-loving family and grew up gazing at photos and models of the space shuttle in my dad’s study as he told my brother and me science fiction stories about making it to the stars. It moves me beyond words to see you reach your dreams and inspires me to believe that we all may reach our own somehow, someday. When you said in your video blog that being in space was like coming to Mecca or Jerusalem, well… I have never heard it described that way before, but it struck a chord in me like nothing else. I am not a religious person—science is really my religion. But I do believe that we have souls and greater meaning to our lives than basic biology. And I feel that when I reach space someday, as I hope will be possible in my lifetime, I will know the feeling you describe. I remember my best glimpse of the stars ever through the window of an airplane—when I didn’t even know there were that many stars to be seen in the sky. It was the most amazing sight of my life. Thank you, Anousheh, for your inspiring journey and for how much of it you’ve shared with us. I wish that the world would be united behind pursuing space and not embroiled in the turmoil and strife that is the state of affairs today. I am happy that you are safely back on Earth, but hope you will find yourself back up amongst the stars very soon. P.S. Though it is only a nickname for me, I am honored to share a name with Misha Tyurin. Thanks for reminding myself and many space colleagues around the world why we’re doing what we’re doing. Thanks for giving us a moment to close our windows filled with tasks to complete in our respective space projects, programs, etc and open your window from space reminding us of the big picture easily lost in our everyday responsibilities. I hope that the insight and inspiration that you’ve rekindled in our hearts as well as just lighted up in the next generation shall bring us new hope to our kind and our so delicate planet and home. Welcome back fellow dreamer and friend! i love you and will extend my love further from this point! You write excellent essays. Your command of language is amazing. You are made up of an amazing combination of unlikely qualities which is very rare to be found. You are a: Mastter in engineering sciences; the most successful entrepreneur; very generous; extremely sensitive and emotional and a great essay writer. چند روزی که در فضا بودی همه روزه چند وعده (مثل غذا خوردن البته اگر رمضان نبود) به وب لاگ شما سر زده ام. دیروز صبح وقتی تصاویر فرود موفقیت آمیز شما را از شبکه سی ان ان دیدم قلبم آرام گرفت. انشاالله درسهای خوبی از این سفر گرفته باشی و آنها را در اختیار ما هم بگذاری. منتظر خواندن کتاب خاطرات سفر شما به زبان فارسی خواهم ماند. خواستم بگم پایان سفر برای تو که هیچ برای من که از زمین سفر تو رو دنبال می کردم هم سخت و ناراحت کننده بود ، و خواندن آخرین مطلب تو از فضا هم گلوی من رو از بغض پر می کرد و اشکم رو سرازیر. Hi Anousheh! Welcome back! I am sure that I speak for many people when I say that I was relieved to see your safe return. Your vision, support for human presence in space, and eloquent reporting of your experience via your blogs are an inspiration to all of us. welcome to earth. i wish i see you in iran soon. assuring you of our highest esteem. Thanks for your nice comment. I can’t agree with you more on this. With all the respect I have toward Anousheh, I think this was a new way of enjoyment of one’s life, rather than seeking for PEACE. However, one thing that I can suggest Anousheh to really reach her (peaceful in words but not at all in action!) words is that she can be one of the representatives of UN and travel different places to gain donations for poor. I was reading your blog entitled “On leaving orbit” while my 2 kids playing on the floor behind me and I dont know why but I cant help my tears from flowing. I guess its the feeling and emotions I felt reading your message, REAL POWERFULL and SINCERE… you are truly a blessing and an inspiration. If only I can have the same drive and will you have. I wish you and your loving husband the BEST in the world. I hope you will continously inspire the human kind and make a difference in the world. And I also hope that like what you’ve said, WORLD LEADERS would hopefully one day experience the same to change their view and perspective of how we should live on the land of Earth. I am from Canada, married with 2 beautiful kids, and hoping to one day meet the First Woman who orbit the outer space. Welcome Back and Thank you. You have inspired many through your accomplishments and briliant narration of your wonderful experience in Space. You have changed lives and lite candles of hope and determination in the hearts of many aspiring beings who had the good furtune of reading your blogs and follow you around in your fantastic trip up. One can say you were the briliant Persian Princess who was sent out to Space as the ambassador of exploration, hope, kindness, comittment and energy in behalf of the humanity. I can not wait to read your “Book” on your experience. I hope NASA will seize the opportunity to ride this public wave of positive energy on space exploration by getting you onboard their exploration programs. I am so proud of my sister Amousheh and her lving anchore in life Hamid! Write that book, carry on the good work you have started and make us ever more proud. Surely much credit must go to our beloved American and Russian and a host of other nations for making this all possible. This has been one big bright star in the sky of humanity. Many thanks to the Soyuz and ISS crew and all the wonderful people on the ground who supported the mission from A-Z. With wishes of peace and hope for humanity. Thank you thank you thank you, I will smile when I go to bed tonight and when I wake in the morning. The world is better because of you! I feel your passion when I look up into the night sky and fill with wonder. I’m so glad you got to live your dream and share it with us. God bless you and have fun with your husband! Congratulate you on your healthy trip. How much you’re happy of this? How much you’re satisfied with yourself that you had a trip to space in order to make your childhood wish true. I’m a woman and I had many wishes I tried a lot but I couldn’t reach them any more. you know what? Because the more I’ve done the less I gained. This is the reason. I’ve many problems in my own life that I don’t want to tell you about them because there isn’t any need to inform you about them. When I think that you spent that much money for enjoying yourself in the space and see some of the people exactly in the society you’re living or the country that you’ve heard about them. They even don’t have money to bur some bread. God is so kind and compassionate but I can see the differences between people easily. You spend lots of your money for an enjoyment that doesn’t have any educational benefits for you. Of course not exactly you because you saw the space with your eyes not the pictures or the photos I mean the other people. May be you’ve reached to your goals. I wish you could open your eyes before deciding to go to this trip because if you did that you could see the people that need real peace in the world not the mottos which everyone can say. The earth is beautiful from space; we’re in this world on the earth and can see the beauties. I’m proud of an old woman who spends her money without saying anything to help others. I’m proud of a person who understand others not just herself. These are the things that I’m proud of. Be happy and enjoy your life. I think it is beautiful how your story unfolded & you showed the world that it is possible to live a complete life , to fulfil your dreams and to overcome all barriers & obstacles. Because you have been such a big inspiration in my life by never giving up , i will be adding a link from my blog to yours.So that everytime I post something i remember your story and hopefully all the other buddying engineers that read my blog and yours too will find that zeal to perservere in their dreams.